On the days between ceremonies, we head out on day trips to various Sacred Sites around the region, including temples and ruins near Urubamba, Pisaq, Cusco, and Ollantaytambo. We visit sites that are well-known as well as off the tourist path. As part of our ceremonies at these ancient places, we work with Coca Madre, another sacred plant from this region, to offer blessings, open our awareness and deepen our connections to the spirits of the environment and the local traditions. Our sacred site journeys are woven into the subsequent San Pedro ceremonies, creating a tapestry of spiritual learning, growth, exploration and connection. Willka T’ika’s sustainable guest rooms are made from natural earth materials and adorned with local artwork. Shamanic Guide, Facilitator and Financial Manager. Samer first came to Blue Morpho in early 2009 as a means to deepen his exploration into shamanism, mysticism and plant medicine. Since then, he continued to visit Blue Morpho to not only satisfy his quest for meaning in life, but to help heal deep-rooted childhood traumas. 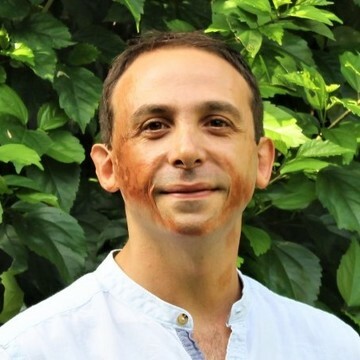 Throughout his journey and before joining Blue Morpho, Samer has studied and practiced several healing modalities from different parts of the world. He was attuned as a Reiki Master, and certified in Thai yoga massage, crystal healing and sound therapy. Samer continues to draw upon these elements as part of his practice.With a professional background in finance, Samer has worked as a financial manager in several industries, and currently helps manage the accounting department of Blue Morpho as well as help facilitate Ayahuasca and San Pedro retreats.